Caught in the middle of a brutal civil war, six Liberian missionaries in Monrovia flee the widespread violence of their native country. Their destination: Freetown, Sierra Leone. With the help of local Church leader Phillip Abubakar (Henry Adofo), the missionaries make the difficult journey only to have their troubles compounded by a rebel fighter bent on killing one of their own. Based on true events, Freetown is a thrilling and inspiring story of hope and survival. Rated PG-13 for thematic situations involving violence. Subtitles in Spanish, French, and Portuguese. I am not really an "LDS Films" kind of girl because the acting and everything is just so-so. I always get disappointed with them, but this film was great. It is so hard to watch all the heartache and trials those members go through. I cannot imagine being in that kind of a situation with my family. It just makes me grateful to live in a land with freedoms and peace. I admire those saints. I want to be better because of them. We have so much and dont give enough thanks and take time to really be grateful for it. The acting and filming of the movie was great, the messages from the movie were good as well. I would not let a child watch this movie because there quite a lot of violence in it. I would say teens and up only. Great movie over all, I would recommend it to teens and up. I dont know if it is a "keeper" but It is worth watching once or twice and was well done. This was one of the most moving LDS movies I've seen in awhile. What the missionaries and members went or are going through is unimaginable to me. It really humbled me to how blessed I am to live where I do. I feel that the cost of the movie was very worth it. This film was so interesting to watch. I loved seeing what it is like to be a member of the church in a different country. This movie will give you a new perspective, and help you understand sacrifices that are made for religion. This was probably an exceptional movie. However, it was filmed with so many dark scenes that, much of the time, I couldn't see what was going on. Though the acting was good, the foreign accents were so heavy that most of the time I couldn't tell what they were saying. Not being able to see what was happening, nor decipher what was being said made this movie painful to watch. It looked like it should be a good movie. I don't mind hearing people speaking in foreign accents, but these were difficult for me to understand. I don't know if the too-dark-to-see scenes were the result of my own equipment, or just too dark in the first place. I'm sorry I had to miss what others saw as a powerful film. This movie is absolutely exceptional! It truly is incredible how the Lord watches over His children, especially those in His service. All of the little miracles in this group's journey to freedom were inspiring. The acting was great, filming was great, and the story amazing. Anyone and everyone should watch this movie to see that miracles are real! 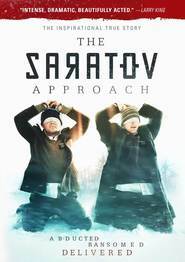 Getty Batty who directed THE SARATOV APPROACH about the two missionaries who where kidnapped while serving in Russian now turns his camera to another true story of faith. 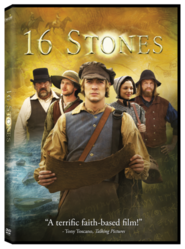 Shot on location in Africa it tells the inspiring story of missionaries caught up in a brutal civil war who make the decision to flee to Freetown for safety and the opportunity to continue sharing the gospel. Using actors mostly from Africa (who do an excellent job in every way) he brings to life flesh and blood characters who feel real and true. Beautifully photographed (with some stunning drone shots) and featuring an exceptional musical score this well written film ranks as one the finest LDS themed films to date. It is a film that is even better seeing it the second time. Suggestion: Take advantage of the sub-titles as this will make it easier to understand the dialogue which is in English but is a little difficult to follow due unfamiliar accents. If you own a Blu-ray player then be sure to purchase that version of the video. This one is highly recommended and would be suitable for audiences of 12 years and above. The violent situations are very well handled. This is a film worth watching and discussing as a family. This movie was exceptional. The filming and situations presented make you feel like you are there with them in Sierra Leone. What a miraculous Story!! Well Done.